The Asset Tracking Guide covers subjects such as defining your business goals, IT asset lifecycles, receiving/installing/moving/disposing IT assets, audits and reconciliation. Its clear, straightforward language means everyone on your team, from the receiving dock to the CEO, will find it informative and useful. AssetTrack® is the barcode and RFID scanning software solution developed by AMI to solve all major challenges in maintaining complete, current and accurate hardware asset data for enterprise IT. AMI’s free Asset Tagging Guide provides recommendations on how to properly tag assets, including tag recommendations, manufacturing, placement and numbering schemes. Read this first before embarking on an asset tagging effort and save yourself valuable time and money. Do you know Jerry? A day in the life of an over-worked asset manager. Have confidence that your asset data is complete, current and accurate. How do you know your hardware asset data in your ITAM or CMDB repository is accurate? People, processes and technology are imperfect. 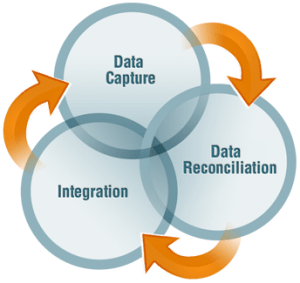 Even with the best designed asset lifecycle tracking solution, assets will slip through the cracks, and database accuracy will degrade over time. As data quality degrades, so does trust in your ITAM solution. You have to audit. Effective asset management takes more than implementing processes and tools to manage asset information. You need a clean yet robust platform of referential data upon which asset management reports are built in order to get value from an ITAM solution. AMI experts discuss the importance of foundational data required to properly implement ITAM. Tom Watson of AMI demonstrates the new AssetTrack iOS app, allowing existing and new AssetTrack customers to scan and track IT assets using iPhones, iPod Touches and iPads. Mobile IT Asset Tracking is important for keeping a healthy asset management program. This fast-paced, fact-filled webinar takes a close look at how BYOD, and using mobile devices for IT Asset Barcode tracking and scanning is affecting the world of IT Asset Management. This presentation looks at issues such as cost, applicability and the requirements for an effective ITAM app. The use of RFID technology in the field of IT asset management is growing quickly. But with that growth have come important questions about its application, accuracy and – perhaps most of all – its cost effectiveness. This Webinar will show you how get value and ROI from RFID without breaking the bank. Everyone who deploys an IT hardware asset management solution does so with the intention that it will improve accuracy, procedures and the financial bottom line. But how do you really know if those goals are being achieved? In this fast-paced webinar, we’ll show you the key steps to asking the right questions, defining the right metrics and getting the answers you need to measure return on an ITAM investment. Download this handy and informative 1-sheet that clearly explains the promise and the reality of current RFID solutions, and how AMI can show you how to find the most cost-effective applications.